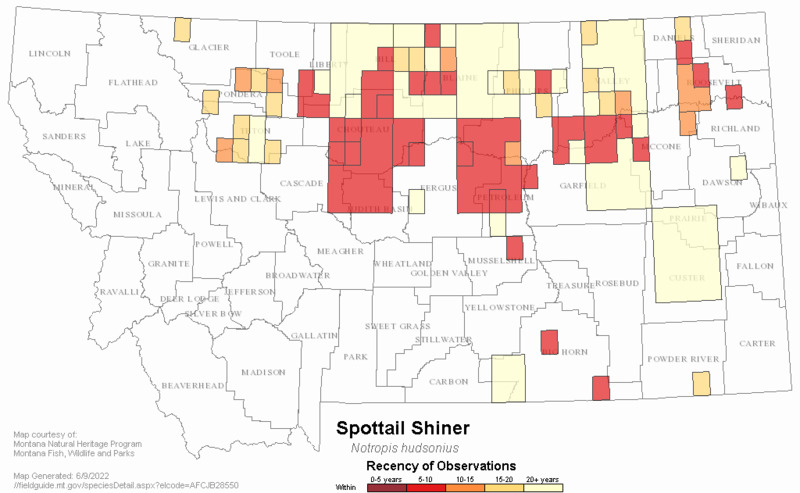 The spottail shiner is a relatively new member to Montana's fish fauna. It was introduced into Ft. Peck from the Midwest in 1982 to serve as forage for sauger, walleye and northern pike because it is a shoreline inhabitant and thus lives in the same habitat as those predators. As the name suggests, they have a prominent black spot at the base of the tail. Spottails have become well established and have increased their range within the reservoir. Maximum length is about 5 inches. Overall silvery with pale green to olive back. Lower edge of tail fin may be whitish. Eye large, body flat sided. Large lakes an rivers. Usually spawn over sandy shoals of lakes and, to a lesser degree, in lower reaches of tributary streams. A shoreline species. Avoids strong currents. Plankton, aquatic insect larvae, algae, and eggs and larvae of their own kind may, at times, be significant food items. 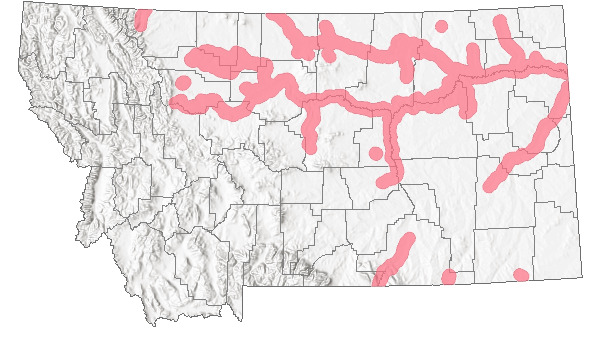 Brought into Montana as a prey species for walleye, sauger, pike, etc. 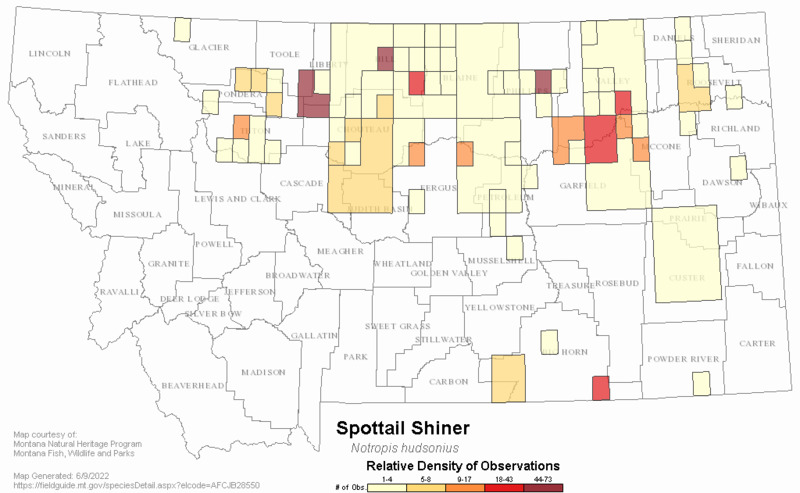 Canadian populations spawn in June or July. 2 yr. old females produced 1,300-2,600 eggs. Broadcasts spawn around shorelines. 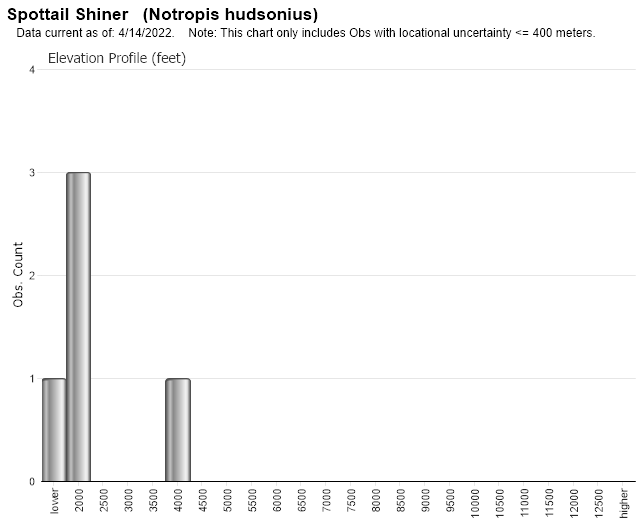 Web Search Engines for Articles on "Spottail Shiner"